We recently completed a Feasibility Study for the Culbokie Community Trust. 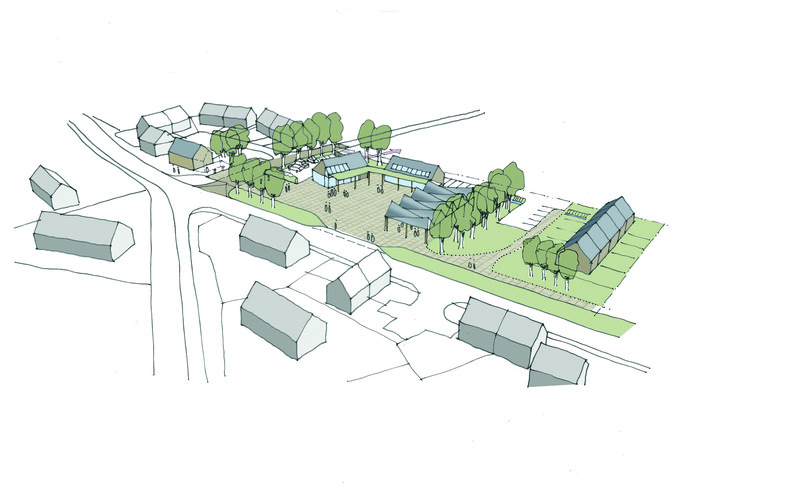 The Glascairn Community Project seeks to provide much needed local services and facilities and create a new heart for the village. The Trust has applied to the Scottish Land Fund for assistance in buying the site, having successfully completed a local ballot which showed strong support for the project amongst local people. 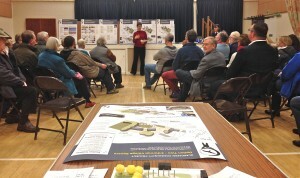 The development proposals focus on a community cafe and shop fronting a new public square. Culbokie has no public realm or civic space to speak of and little prospect of ever getting any without this community intervention. Other communty buildings would provide rooms for local health services and a covered events space, with some housing meeting a need for smaller homes for local people and helping to fund the development. Culbokie has become a commuter settlement in recent decades and with more housing estates to come it is in danger of becoming an all-out dormitory town, shipping workers in and out of Inverness every day. The market has failed to provide local services and even to meet local demand for smaller more affordable homes. Like many similar towns, house builders have built larger, expensive homes in recent times, partly as a response to rising land values. Sadly, the planning profession has had no meaningful response to this issue. The land reform process is now addressing housing land. Market intervention to drive the delivery of housing which meets local need and responds to local character is overdue. Local Authorities are likely to have a key role, although most don’t use the powers they already have. This project is an excellent example of a community taking its future into its own hands. Community empowerment in action. The Trust has shown strong commitment to the task and provided leadership for a community which is realising that there is an alternative to declining local services and a diminishing sense of place. Culbokie is not alone – it’s part of a growing number of community-led projects which are slowly transforming Scotland’s communities for the better. Hazel Allen, Athena Solutions; Amanda Bryan, Aigas Associates; Sam Foster, Sam Foster Architects. The project was funded by the Big Lottery Fund, Highland Council and HIE.